This post goes out to all you bright-eyed, bushy-tailed dissertators who are full of hope and, probably for good reason, looking forward to a bright future in academia. Of course, I’m not entirely sure why you’d be reading this blog if that describes you, unless you’re just wasting time on the Academic Jobs Wiki and you unknowingly stray here from there. In any case, maybe you can learn something about what NOT to do when you land your first MLA interview, from what happened to me five years ago in DC. Don’t waste opportunities: Only in academia do you tell yourself that it’s okay to spend about a thousand dollars and waste the days off between Christmas and New Year’s just to make yourself a better job candidate *next* time — or the next time or the next or the next. That’s the attitude I had going in, which I suppose might’ve been a defense mechanism for my self-esteem or a not-so-great way to try to take the pressure off myself. But it’s a bad gameplan to go into something thinking that you’re going to lose. So even though I had better possibilities and fits later on, there are never enough opportunities for you to just to write one off. 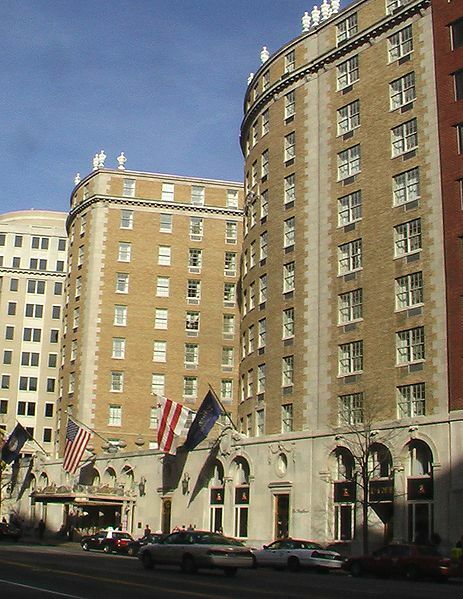 Psyching myself out: The frame of mind I describe above probably contributed to me psyching myself out before I even stepped into the very cushy suite at the Mayflower Hotel where the interview took place. I flip-flopped between taking it too easy so that I wouldn’t tense up and pushing myself too hard in order to overcompensate for taking it too easy. Or, wait, was it the other way around? You get the idea: Either way, I was all over the place trying to get focused. The low point was me telling myself there was no way to anticipate all their questions, beyond the basic “What’s your dissertation about?” icebreaker, but then trying to read enough of all the books I crammed in my suitcase so that I *could* give the “right” answer if I happened to be able to guess unforeseeable questions in advance. One moral of the story: Leave your books at home! First impressions do matter — for yourself: Again, not knowing whether I was overprepared or underprepared really played tricks with my head at the worst possible time. I just couldn’t find a way to act naturally, which is not good because I can already be pretty awkward to begin with. As a result, I could barely even respond to pleasantries and formalities from the search committee. I can’t remember exactly what happened, but all the tension made me respond rudely when I called up to the suite to see if they were ready for the interview. Speaking of which, can they make all the pre-interview set-up a bigger pain, what with the calling up to the room a “few” minutes early when you’re not sure if they’re still grilling someone else or if you’re interrupting whatever or if you’re even talking to the right person? And mind you, all the other nervous people in the lobby are doing this too so you have to stake out the in-house phone or the concierge to time things just right, which only makes you more jittery yourself. Anyway, by the time I navigated this ritual for the first time, I was feeling slightly embarrassed and on edge, which is no way to be when you take the elevator up to the interview. Don’t play defense: As you can imagine, I think my fate was sealed — by myself, probably — before the interview actually started. I remember that I knocked the chit-chatty first question about my fondest undergrad experience out of the park, in part because it had nothing to do with anything I was prepared for. But things went quickly downhill after that. The diss spiel was nowhere as tight as it should’ve been, precisely because I adlibbed so that it didn’t sound canned — when in doubt, stilted and scripted trumps rambling and gawky. I was on defense trying to respond to a very sincere but overly specific question about a text I hadn’t read but should’ve — argh, my prep didn’t foresee this unforeseen possibility! And even if I did get away with a overly general parry to that question, what I couldn’t fend off was the snarky, passive-aggressive barrage from the seemingly ambitious recent hire from the year before, who was probably thinking of making his bones by cutting me down. Another moral of the story: Don’t look to your peers — i.e., the ones who most recently went through what you’re going through now — for any sympathy or a lifeline, since I’ve found many of them to be either looking to tout themselves by knocking you down a notch or so far down the food chain that they’re basically acting like they’re in a seminar hoping not to be called on. The lesson learned was that a lot of ’em are looking out for #1, so you should be too. All in all, I never figured out how to feel fresh and ready for an interview without overdoing my prep, which is something to go into at a later date. More interviews you don’t want to have after the Thanksgiving vacay. Have a good holiday break, if you have one! Subscribe to comments with RSS	or TrackBack to 'Interviews You Don’t Want to Have #2'. But, thus far, none of my AHA sit-downs have resulted in campus interviews. I’m awesome at phone interviews, though, luckily, and have been invited to campus several times, but never after dropping the $1000 required to interview at the AHA. And last year, to my embarassment, I flew all the way to the conference for 1 interview. Can you believe that!? Oh the lessons we learn. Thanks so much for sharing these interview experiences! I’m a dissertating grad student — I’m not on the job market, and I have heard some general interview stories, but nothing like these! =) Thank you!